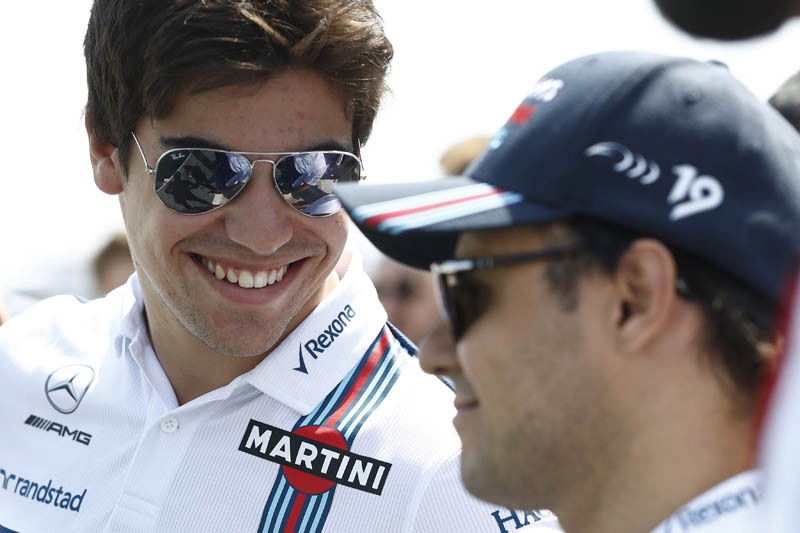 Lance Stroll has hit back at Felipe Massa's claims that Williams is suffering because it put money first when it came to driver choice. Last week, the Brazilian claimed that the Grove outfit's current position, which sees it languishing at the bottom of the standings, the only team yet to score a point, is due to the fact that it opted for two inexperienced drivers with backing rather than paying for more talented and experienced drivers. "I don't understand what he's trying to say," Stroll told reporters when asked about his former teammate's comments. "First off, Felipe is not here, he's gone, he's retired," he continued, clearly unhappy. "And last time I checked I finished one position behind Felipe... and not really using Felipe as a reference, but using myself as a reference. "I look at where I was at stages last year when the car could do it, in China I was in Q3, in other races I was, many races I was scoring points. So it's not like I know I can't do it, or that it's not possible," he added. "At the moment the problem is that with a really competitive and good race, we are P14, P13. And last year we were comfortably in the points many times. So that's how I look at it." "I don't pay much attention to comments, but obviously it's not very pleasant," added teammate Sergey Sirotkin. "Everybody's talking about a lack of experience, about bad feedback and so on, but during my career I've realised that the number of seasons you've raced doesn't directly make your feedback better and make you understand the car better. It doesn't mean that at all, because I've seen all kinds of examples. "It doesn't matter what experience you have, all that matters is how quickly and how concrete you are with the feedback you are giving back to the engineers," added the Russian, who has a degree in race car engineering. Check out our Friday gallery from Baku, here. Liberty key for Williams as 2017 revenue is "broadly unchanged"
"Ha ha wasn't Crybaby Massa like crybaby Barichello not taken for the Petrobas money ?" "Hmm... In 2017 the vastly experienced Massa scored 43 points compared to the 40 scored by the rookie Stroll. Also with all Massa’s experience he should have been able to develop the car more and act as a mentor for Stroll...."
"there is an old saying that goes "the most important thing in a race car is the nut behind the steering wheel" In this case it fits perfectly. Put Hamilton, Alonso, Ricciardo Massa and God forbid Kubica the car would be further up the grid. What have the two current divers got ? Simple...heavy duty backing." "The simple truth is that Massa is completely correct and I am afraid that in the case of the 2 current Williams drivers, experience will not bring much betterment as the talent is clearly lacking. And they drive also in an era in which they have a number of others like them in only 18 other cars. In the times of Senna, Prost, and Schumacher, the best they could hope for was watching the race from the VIP lounge"